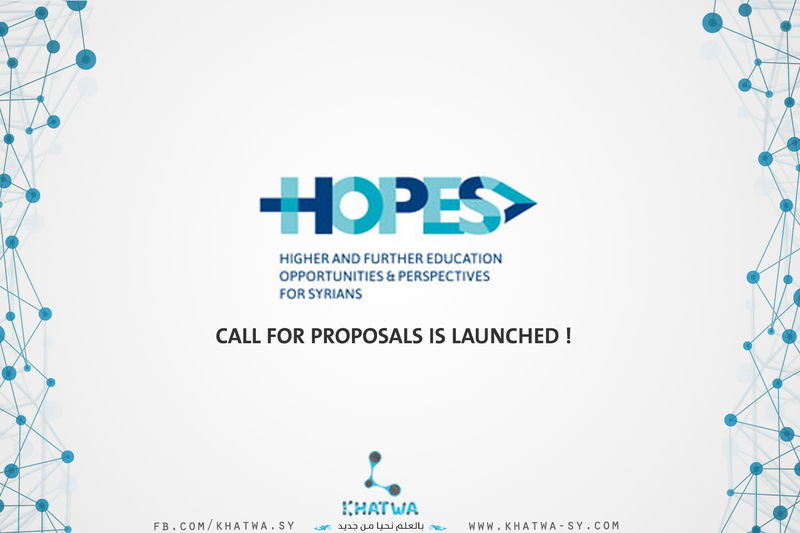 The project HOPES (Higher and Further Education Opportunities and Perspectives for Syrians) is launching a Call for Proposals (CfP) to support innovative education initiatives and short-term projects targeting refugees from Syria and vulnerable host communities across Egypt, Northern Iraq (KRI), Jordan, Lebanon and Turkey and implemented by local and regional institution. HOPES is a 12€ million project funded by the European Union’s Regional Trust Fund in response to the Syrian Crisis, the ‘Madad Fund’, and implemented by the German Academic Exchange Service (DAAD), British Council, Campus France and EP-Nuffic. It aims at significantly improving the situation of refugees of post-secondary age from Syria and young people in host communities affected by the high influx of refugees, by directly addressing their education needs. The objective of the CfP is to increase the number of refugees of post-secondary age from Syria as well as young people in host communities, that are enrolled and trained in higher education programmes and training courses including innovative further education options and language courses. It also seeks to enhance the education and training institutions’ capacity to deal with the specific situation of refugees and provide Syrian and vulnerable youth from the host communities, with opportunities to access further and higher education. Furthermore, it aims to promote refugee education through better access to online resources, innovative courses and educational support. Through this Call for Proposals, a maximum of 40 projects will be funded in Egypt, Northern Iraq (KRI), Jordan, Lebanon and Turkey and/or Syria. local and/or regional institutions can request funds for their actions ranging from 6,000€ to 60,000€ for a maximum duration of 18 months. relevant information about the call.